Blues is My Middle Name: Charity Despair or Optimism? Anyone reading my profile or blog understands that I have a passion for charities. Anyone with even half an ear to the news is aware of the difficulties that charities are facing to their contracted services from reductions in government and local authority spending. Charities who rely on donations from the general public are also expressing concern, as the recession has hit hard and there is less disposable income available to give to charity. The options available to charities seem to be, give up; "walk on with hope in your heart" as the Liverpool Football Club anthem says, or plan for a possible different future. Nothing stays the same forever. Those charities who have relied heavily on statutory funding in the past, and who are now seeing it dramatically reduced will never get back to the position they once had. General fundraising for all but the few large charities who appeal to the emotion within us, will struggle even more. In the light of this, will we be driven to despair, or will we be driven by optimism? Undoubtedly there are tough times ahead, but can we not see this also as an opportunity to perhaps review the services that are provided, and how those services are delivered? If so, it requires planning for a possible different future, whilst retaining the values that underpin every charity. I have just finished reading an address posted on the Charity Commission website given by David Locke to the Citizens Advice Bureau Annual Trustees Conference. 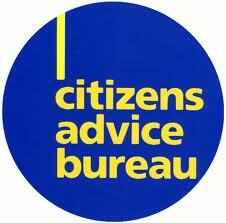 It comes at a time when CAB's up and down the country are seeing their grants from local authorities dramatically cut. An example given was that of Birmingham City Council who were planning to cut all of the support (£600,000) it gives to the city's 5 Bureaux. Many other authorities are cutting funds from 45% - 60%. David Locke in his address was encouraging his audience to think positively and expansively. "You might feel a little like your feet are being bound, just as you're getting ready to climb a mountain. But I'd like to encourage you not to let those feelings paralyse you. Convert them into positive energy and a fighting spirit. 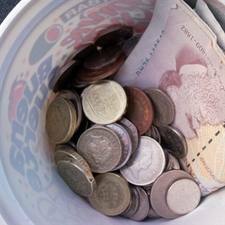 There are things that you can do to bolster your charities' defences". Now, nothing he said was new. The Charity Commission have been saying it for a long time. I addressed aspects of it in an earlier blog. What he said to CAB Trustees is applicable to every other charity in the land, particularly smaller ones, and it needs repeating time and again until it becomes absorbed into our consciousness. His focus was on three areas. Collaboration - how can you improve the services you provide by working more closely with other charities? This can be done in a variety of ways, from the simple to the sophisticated. It can begin with the very simple principle of sharing. Look at the buildings most charities have, can they not be better used through sharing them? What about administrative functions such as IT and HR? What about bookkeeping and payroll services? I believe that the time has come to ditch the notion that six organisations in an area should all go chasing for money to pay for six finance and payroll people. Why don't the six (or whatever number it is) get together and employ one person to service them all? The costs would then only be one sixth. An example of this is seen in Wrexham, where 70 local charities came together to form the Association of Voluntary Organisations Wrexham. Here membership means access to meeting rooms, photocopying and scanning facilities, computers, administrative support and payroll service. Some areas have good quality CVS's and better use could be made of these. Another approach to collaboration can see two or more charities coordinating their services to provide the best possible outcome to beneficiaries. The last Charity Commission Annual Report highlighted the example of Thames Reach and Blenheim CDP. One provided services for homeless people, and the other services to people with drug problems. Though coming together initially on one project, this was so successful that they now collaborate on a whole range of projects. Collaboration can also take more formal, contractual forms such as forming consortia to apply jointly for public contracts, which are partnerships favoured by many local authorities. I fear that a number of smaller charities are full of their own self-importance, and display an attitude that no other organisation is as good as they are, so there's no one to join with. If this is a true picture, then it must change, for as David Locke says, "I doubt there is a single charity in England and Wales that couldn't benefit in some way from working more closely with others". An increasing number of charities are realising, either out of desire or necessity that the only way forward is that of merger. Belinda Vernon, Head of Research at New Philanthropy Capital says, "Collaboration challenges the very existence of an organisation - does it primarily exist for itself or does it exist for its beneficiaries? The extent to which an organisation collaborates or competes could be a clue". I for one agree with her. Diversifying Income - The Charity Commission's latest research suggests that, overall, only 15% of registered charities receive income from public grants and contracts, and only 8% of charities say that public funding is their main source of income. I know intimately a number of charities that come into that 8%. Being in this position makes charities vulnerable to the current wave of government cuts. Those who may have escaped the cuts this year had better plan well, for their turn will come. Diversifying income streams is a sensible approach to take. One way is to target commercial sponsorship in a local area, whether with small companies or large ones; whether for small amounts or greater ones. I don't pretend this is easy, but it should be looked at. Another way of course is to increase individual private donations. As David Locke says, "Branding is key here". Research has shown that public trust and confidence is a wide-spread issue. If people aren't aware of your status, or what you do, then it won't occur to them to consider supporting you financially. It will be extremely beneficial to have a Marketing Strategy, rather than to believe that everyone knows about you - for the truth is that they don't, or if they've heard of you, is what they've heard correct? Technology - I know that this is not for everyone, but I think that everyone should take a look at it. There are social marketing tools available such as Websites, Blogs, Facebook and increasingly Apps for mobile phones that can be used to recruit volunteers or encourage private donations. Perhaps commercial sponsorship in kind can help to get these developed. The Internet Advertising Bureau suggests that 61% of charities think their website is underperforming, and they have developed a toolkit to help charities improve their web presence. The Media Trust provides help and support to charities that want to improve the way they use communication technology, either to reach donors or to get their message across to government or local authorities. What all of the above needs is realistic planning, and the leadership to carry it through. If planning for the future is not carried out, it will be perceived as an act of gross negligence.